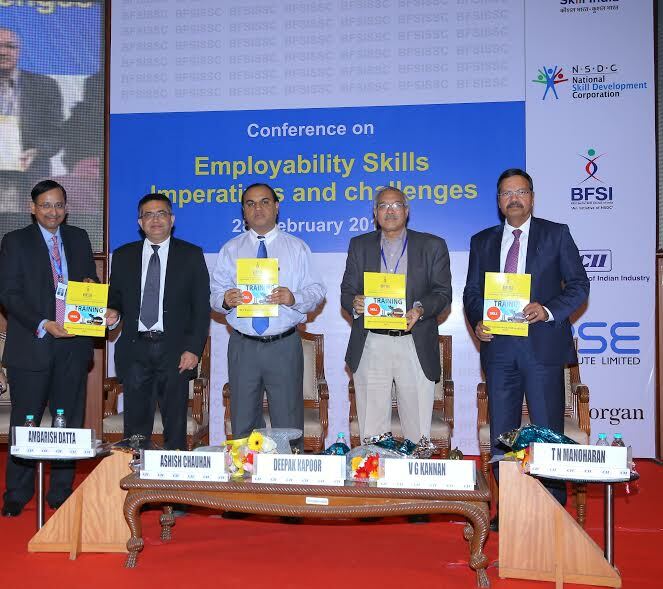 Mumbai: The BFSI SSC along with CII organized a one day conference on Employability Skills – Imperatives and Challenges at the international convention hall of the P. J, Towers on Dalal Street, Mumbai. The conference focused on key issues like the scope & challenges in meeting employability Skills for the BFSI sector and strategies for creating employment for skilled manpower by linking skills to demand aggregation. Many stalwarts from the industry like Ashish Chauhan, MD and CEO of BSE, T. N. Manoharan Chairman Canara Bank, V G Kannan Chief Executive Indian Banks Association and Ambarish Datta Director, BFSI Sector Skill Council of India, participated in this event. A highlight of this event was the Launch of the “BFSI Environment & Skill Landscape 2017” report. This report provides key indicators on the growth in employment opportunities across the various subsectors of the BFSI Industry. The participants in the conference were of the opinion that major initiatives are required both from the government, and industry to address this challenge of unemployability and were pleased to hear about the CII Advanced Skills Training program. Funded by J.P. Morgan, the program is designed to train and groom fresh graduates on subjects relevant to the BFSI sector as well as soft skills like the English language and business communications to take up jobs in the global banking industry. 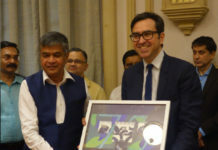 Photo Caption: Left to Right – Ambarish Datta Director, BFSI Sector Skill Council of India,Ashish Chauhan, MD and CEO of BSE, Shri Deepak Kapoor, IAS, Principal Secretary, Skill Development and Entrepreneurship Department, Government of Maharashtra, V G Kannan Chief Executive Indian Banks Associationâ€‹ & T. N. Manoharan Chairman Canara Bankâ€‹.